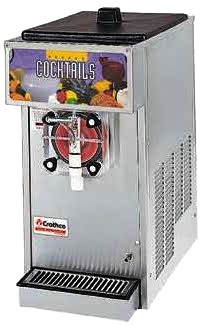 Our frozen drink machines are high quality commercial stainless-steel units. A rental agreement must be signed by the customer in order to set up the equipment. We do not supply any liquor or alcohol beverages. Our mixes are concentrates that contain no liquor or alcohol.